PATILAD SHOES is involved in footwear manufacturing, retailing, training and shoes servicing. PATILAD SHOES is a New business and will be registered with Corporate Affairs Commission of Nigeria. My idea is to be able to train and retrain more hands so as to boost the rate of production as well as to be able to compete with the world class shoe manufactures in the year 2020. I want to revive the dead shoe sector and boost Nigerian economy through exportation of my products as well as create more jobs. PATILAD SHOES products and services are arranged in five arms of the business unit. Shoe sales – Shoes, Sandals And Slippers For Male And Female, Both Young and Old. 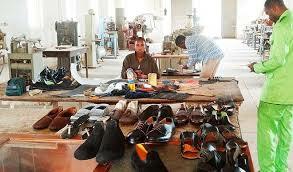 We produce Moccasins, Casuals, Sandals, Loafers etc., Shoe servicing , Shoe Accessories and Trainings. DAYO ADETILOYE: He is a business Development specialist and alumnus of the Enterprise development Centre of the Lagos Business School. He has over 10 years’ experience in shoe Making. He is the CEO of the business. PATILAD SHOES looks to bring in annual sales of N25, 000,000 with an operating profit margin of 20%. Gross margins are at 51%, which is 6 percentage points higher than the retail industry average but in line with fashion retail averages. The breakeven is at the 9th month. Overall, PATILAD SHOES projects to reinvest net profits of 5% into the company for service enhancements and growth initiatives. To provide quality and customized assortments of shoes to accommodate all varying styles and shapes in regards to our customers liking to attract and maintain them. To create a product that is custom designed for each customer satisfying their personal needs. Professionalism– This is the main factor in this business. Customers come from far distance to patronize professional fashion House. 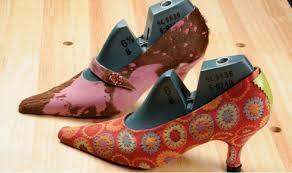 Creativity – shoe making is a creative work and this separate boy from men. PATILAD SHOES products and services are arranged in five arms of the business unit. Shoe sales – Shoes, Sandals And Slippers For Male And Female, Both Young and Old. We produce Moccasins, Casuals, Sandals, Loafers etc. 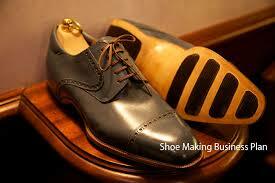 Trainings – We Set up Shoe making training school of high quality standard. 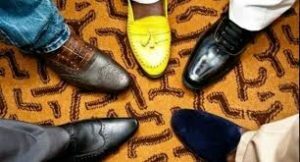 Nigerians today have increasingly shown keen interest in locally produced shoes, instead of patronising foreign made shoes or second hand imported shoes. The days seem to have been over when people saw locally produced shoes as inferior shoes, Conversely, the situation now is one in which local shoe brands compete well with shoes made in Italy and other European countries. Over 170million Nigerians cannot do without wearing footwear. Both male and female, young and old. This makes our products and services to be on an ever increasing huge demand as few professionals are available in the industry. Our quality, speed of production and unique delivery is our competitive advantage. PATILAD SHOES target medium/high end income earners and luxury consumers. OYEBADE ADEJUMOBI: He has 10years experience in shoe making and will be in charge of the operations. DAYO ADETILOYE: He is a business Development specialist and alumnus of the Enterprise development Centre of the Lagos Business School. ALLO FEMI: He is a graduate of Obafemi Awolowo university, Ile Ife. He has 5years experience in shoe making and will among our operation staff. Pingback: Executive Summary of Colouring & Dyeing Business Plan in Nigeria.